First lets get this out of the way. The AGA as many think is a Union. Well that’s not true. The true Fact is that the AGA is a Guild with Union affiliations. These affiliations allow the AGA to offer benefits, tools and resources to help support the appraiser and as the Guild grows so do the benefits of those union affiliations. Many big organizations that represent appraisers have the funds to do things the AGA cannot at this point in time. However the AGA does one thing most other organizations don’t and that is work for their appraiser members on a one on one basis and help them with issues such as: blacklists, getting paid, & state board complaints. Yes. All of these. The AGA works hard for YOU, the Appraiser. They don’t stop there. They even work on national issues in support of or not in support of issues pertaining to the Real Estate Appraisal Profession with other organizations to make a change. 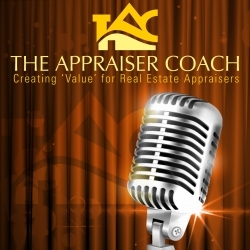 I really hope this blog explains the AGA more and that you will consider looking into becoming a member not just for you but to also be a part of an organization that will continue to fight for the real estate appraiser profession. For the cost of 1 appraisal per year you can know that the AGA is really on your side and working hard for you.